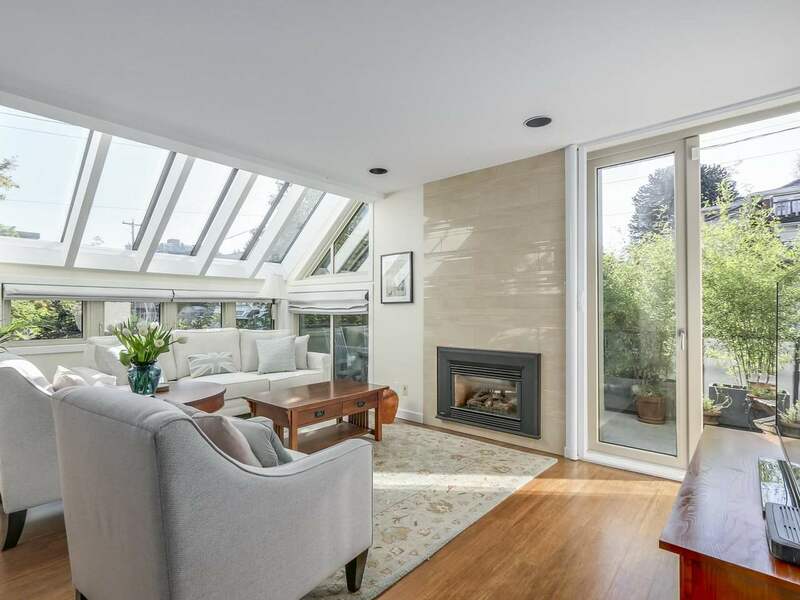 Welcome to this lovely bright & spacious 2 bed/2 bath + den Penthouse situated in Kerrisdale. W/ vaulted ceilings, skylights, radiant heat, engineered floors, large bedrooms w/ large walk-ins, caesorstone counters in kitchen, a gas range & F/P. The bright den/solarium is accessed from both the living room & bedroom. This rainscreened building is very well maintained w/ a newer roof, live-in caretaker, banquet room & fully equipped workshop. Pets allowed. 1 parking & 1 storage locker incl. Age restriction 45+. Listed by RE/MAX Select Properties.